Having feared the US entry into Afghanistan, some in Russia now fear the United States’ exit will make it a bigger target for Islamic militants. For the last decade, Russian policymakers have watched in alarm as the United States, as part of its war effort in Afghanistan, has made strategic inroads into the former Soviet republics of Central Asia. Washington has set up military bases and built relationships with the countries that Russia considers its sphere of influence, including Uzbekistan, Kyrgyzstan and Tajikistan. But now, the Kremlin is facing something potentially more dangerous than the Americans coming to Central Asia: the Americans leaving Central Asia. 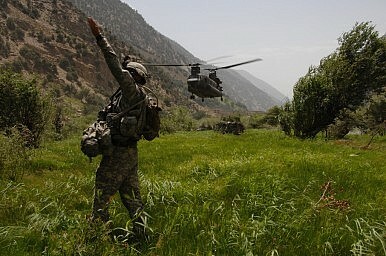 The United States announced this summer that it intends to start pulling its troops out of Afghanistan in 2014. What sort of government develops in Afghanistan after that is unclear, but it will almost certainly include elements of the Taliban that are now fighting US forces. That could provide a bridgehead for radical Islamist groups to move northward, into the ex-Soviet Central Asian republics and possibly to Russia itself. Indeed, over the last month, Russian officials have been openly discussing this threat. ‘Russia should expect the activation of militant activity on the borders of Central Asia after the withdrawal of coalition forces from Iraq and Afghanistan…Threats can now come creeping to our southern borders,’ said Col.-Gen. Vladimir Chirkin, commander of Russia’s Central Military District. ‘We don’t want NATO to go and leave us to face the jackals of war after stirring up the anthill. Immediately after the NATO withdrawal, they will expand towards Tajikistan and Uzbekistan, and it will become our problem then,’ said Russia’s ambassador to NATO, Dmitry Rogozin, in an interview with the French newspaper Le Figaro. Irina Zvyagelskaya, vice president of Russia’s Centre for Strategic and Political Studies and senior scholar of the Russian Academy of Sciences Institute of Oriental Studies, agrees with such sentiments. ‘There were a lot of people here who said the US being in Afghanistan was against Russian interests. Now the same people are saying, “how dare they leave Afghanistan,”’ she says. Before the United States war in Afghanistan began in 2001, Islamist groups like the Islamic Movement of Uzbekistan maintained a low but persistent profile in several Central Asian states. An apparent assassination attempt on Uzbekistan’s president, Islam Karimov, killed 16 people in 1999, and in 2004, attacks on the United States and Israeli embassies in Tashkent killed four Uzbekistani security guards. There have been no such attacks in recent years, however, and a major reason is because the United States’ war in Afghanistan has drawn jihadists from around the region. The number of Uzbeks, Tajiks and other Central Asians now fighting in Afghanistan or Pakistan is unknown, but a US departure would free them up to return to the fight in the former Soviet republics, says Georgi Engelhardt, a Moscow-based expert on political Islam in Russia.